When it comes to tablets nowadays, there seems to be a difference between tablets used for work and those that are purely for entertainment purposes. Tablets essential for work tend to be built tougher and more rugged. Such tablets are placed in the likes of the new Algiz 10X Tablet from Handheld. The Handheld Algiz 10X Tablet features an Intel Atom N2800 dual-core processor with 4 GB of DDR3 RAM. It also comes with a10.1 inch touchscreen display, 5MP camera and comes with a Windows 7 Ultimate OS. But its ruggedness and durability is what makes it an interesting tablet to have. The Algiz 10X Rugged tablet is IP65 rated and meets MIL-STD-810G standards for protection against water, dust, drops, vibrations and extreme temperatures. This tablet is ideal for use in professions where tough conditions are just part of the job. 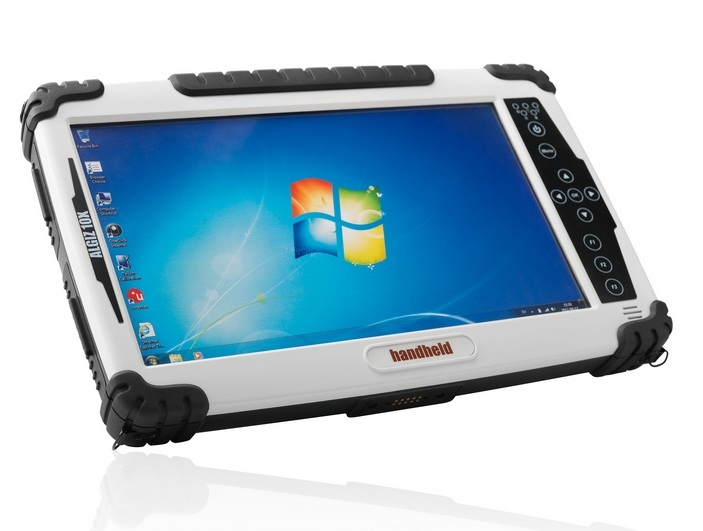 The Algiz 10X rugged tablet is expected to be available sometime in January of 2013. No pricing details have been provided as of now.